First details from its Weekly Famitsu reveal. Famitsu this week has first details on the newly announced Ace Attorney 6 for 3DS. 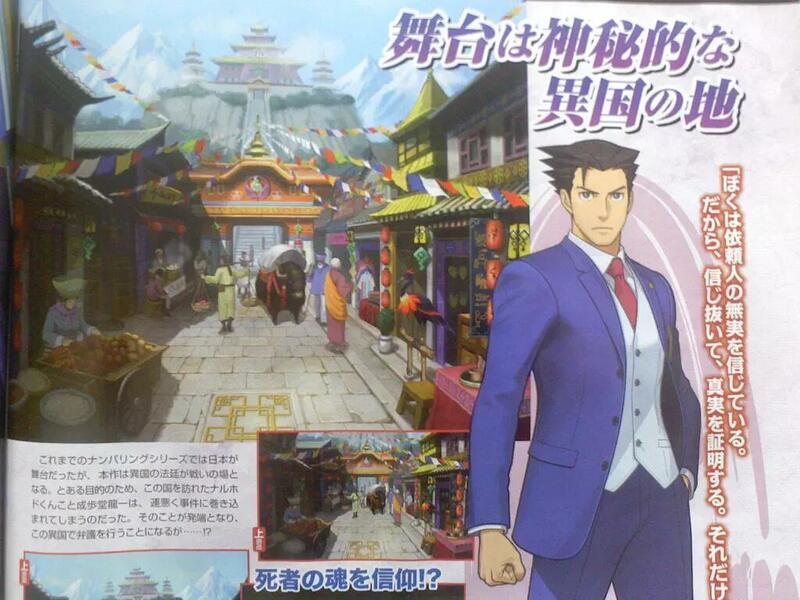 While previous entries in the main series were set in Japan, Ace Attorney 6 is set in a mysterious foreign country, where religious temples for those who place their faith in the souls of the dead are erect in the center of town. Ace Attorney 6 uses a new “Water Mirror” system. The Water Mirror show clues related to the case, bringing to the surface an image and text. Further details are still unknown. 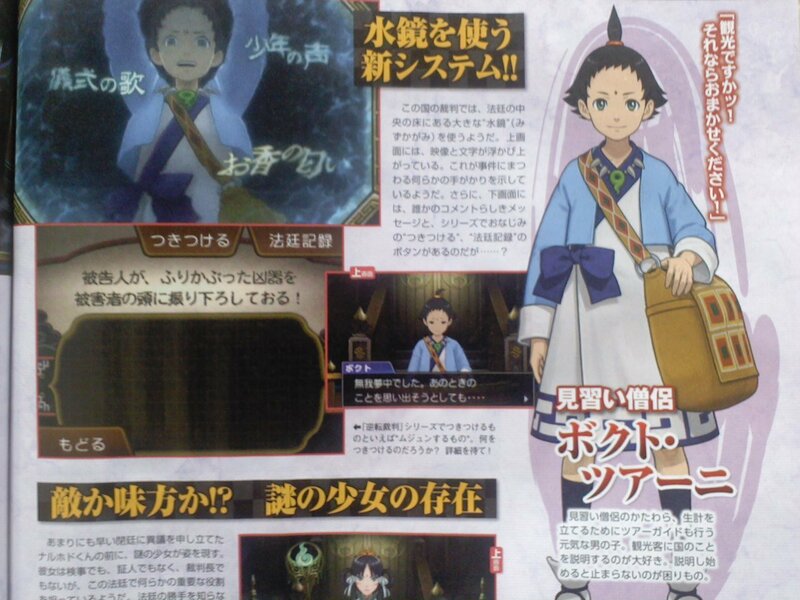 The magazine introduces a new character named Bokuto Tsuani, a young boy and apprentice priest who works as a tour guide. He loves his country and tends to not be able to stop talking about it once he starts. What’s the theme and concept of Ace Attorney 6? Will the beginner system from Ace Attorney 5 return? Development on Ace Attorney 6 is 30 percent complete. A release date is not announced, but the game is confirmed for both Japanese and western territories.